In an effort to broaden your horizons we are doing a spotlight series on inspiring women who have climbed to the top of the professional ladder. 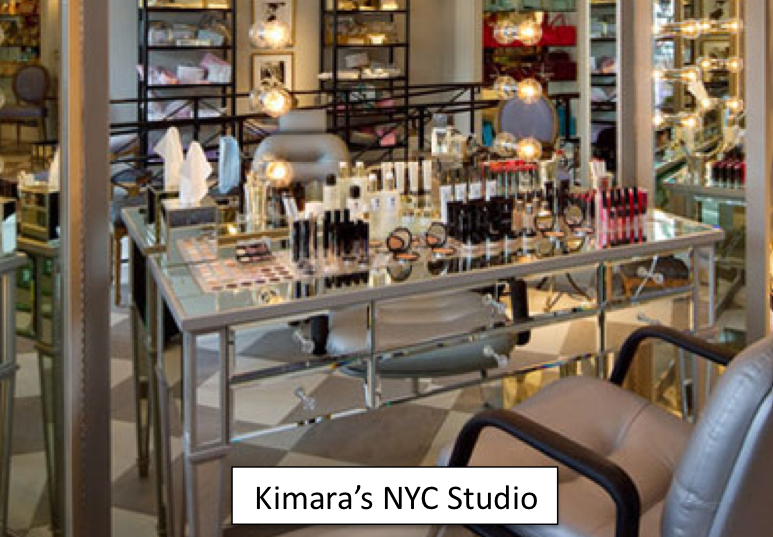 Today we are showcasing renowned makeup Kimara Ahnert, founder of her eponymous luxury cosmetics brand, and owner of her own makeup and skincare studio on Madison Avenue in New York City. We asked this stunning lady to share some stories charted along her path to the top. Hopefully some of them will help you realize your own passions, and encourage you to follow your dreams. Miss Fake It Til You Make It (MFITYMI): What made you realize your professional dream? Kimara Ahnert (KA): I attended Goucher College in Baltimore, MD and earned a BA in Business Management. During my senior year in college I met a makeup artist who piqued my interest in a career in makeup. After graduation, I thought I would pursue the corporate side of beauty in New York City. However, my mind quickly changed after I decided to take a summer course in makeup artistry. I soon realized my love of doing makeup never went away and instead of pursuing a more corporate position I decided to pursue being a part of the makeup artist and beauty world. MFITYMI: How did know to trust your instincts and pursue your dream job? KA: I feel blessed I am able to do what I love. Makeup artistry came naturally to me. It's like playing and getting paid for it. KA: Meeting interesting, wonderful women. 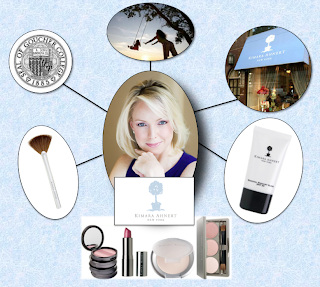 MFITYMI: What is your #1 makeup must-have? KA: My all time must have is Kimara Ahnert Mineral Radiant Glow SPF 30. It protects my skin, evens my skin tone and gives my complexion a healthy sunglow. MFITYMI: Tell us a beauty secret. KA: People always comment on how good I look without any makeup… not always the case! The trick is applying the makeup with quality tools. The Kimara Ahnert Contour Brush is like a magic wand that always does the trick. It works to gently sweep bronzing powder or illuminator on the face, or to remove excess product below the eye. KA: Definitely my mom. I loved playing with her makeup, clothes as a little girl. I thought she was the most glamorous going out with my father. She would wear beautiful gowns, long satin gloves, false lashes, a hair fall – beautiful! MFITYMI: What career / beauty advice do you wish you had known when you were fresh out of college? KA: Luckily, I have no regrets. I had great support from family to always look into what you love and are good at and find a way to make a business out of it. I come from a long line of entrepreneurs. MFITYMI: When was a time you had to Fake It, Til You Make It? 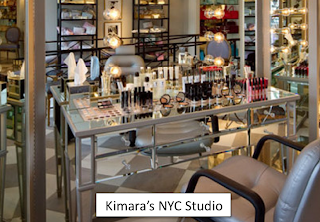 KA: In the early years, I told clients and magazines I could do both hair and make up. Thankfully I was always handy with hair. I got the jobs because I could do both! But definitely was holding my breath on the hair part.